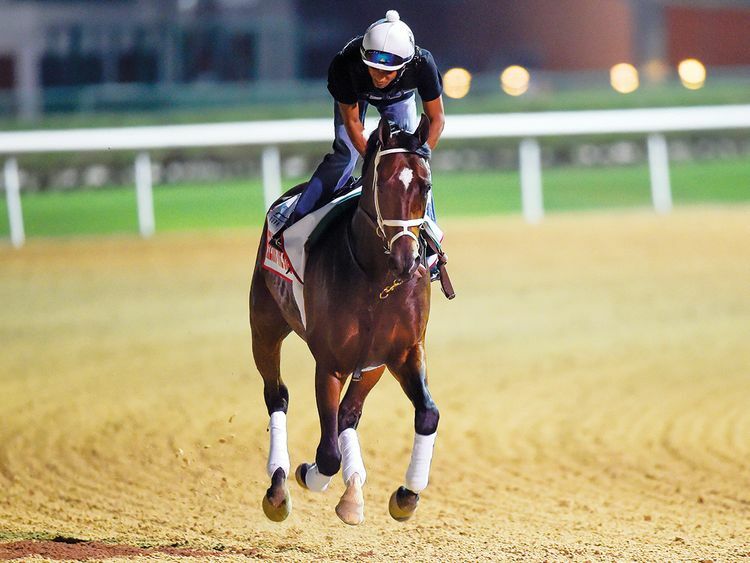 Dubai: Hall of Fame jockey Mike Smith knows what it feels like to be on the winner’s podium on the richest day in horse racing — the Dubai World Cup. And not so long ago as well. It was in 2017 that Smith partnered the hot favourite Arrogate, trained by the legendary Bob Baffert, to victory over Gun Runner, the mount of Florent Geroux. For the record the Todd Pletcher-trained Neolithic was third. Smith and Arrogate had earlier gone on to create their own bit of history while winning the Breeders’ Cup Classic, the Travers Stakes, the inaugural Pegasus World Cup to finally cap that streak of victories in Dubai. Regardless of whether you are the favourite or not, I still believe I am coming in with a good chance here. Smith, who finished fifth in the race last year aboard Forever Unbridled, teams up with Seeking The Soul, as he bids to join Frankie Dettori as the only jockeys to win the race twice. “I love coming back here,” he said during yesterday’s Post Position draw, where his Dubai World Cup hope drew the fifth post in a field of 13 contenders. “When I got an opportunity to ride this horse I was very excited. It’s always nice to come back and ride another World Cup. “Regardless of whether you are the favourite or not, I still believe I am coming in with a good chance here. This horse is coming here a little bit under the radar and honestly, he is not the favourite either as he’s been a bit unlucky during the last few trips. “With a really good trip, I think I’ve got a good chance to win with him,” he added. New Mexico-born Smith’s dominance as a top-class rider since the early 1990s saw him being inducted into the National Museum of Racing and Hall of Fame in 2003. He has also won the most Breeders’ Cup races with 26 wins, while also being the second leading jockey of all time in earnings with over $312 million in prize money. In 2018, Smith rode Justify to win the Triple Crown, becoming the oldest jockey to win the title at the age of 52. “I think I’ve got a few good years left in me. I’d like to come back possibly for the next three or four or even five years from now,” he said.